Boys & Girls Clubs are a safe place to learn and grow - all while having fun. It is the place where great futures are started each and every day. To enable all youth, especially those who need us most, to reach their full potential as productive, caring, and responsible citizens. Today, more than 350 boys and girls are taking advantage of the programs, activities and services provided by the Boys & Girls Club of Milford. They benefit from trained, caring, professional staff and volunteers who help young people take control of their lives, envision productive futures, and achieve their goals. The Club provides an after school program to its members that meets Monday to Friday 2pm - 6pm for elementary school aged members and 2pm-8pm for middle school and high school aged members. Structured, supervised activities after school provide positive social interaction, a place to learn respect for and inclusion of others, and an alternative to unsupervised street based activities. 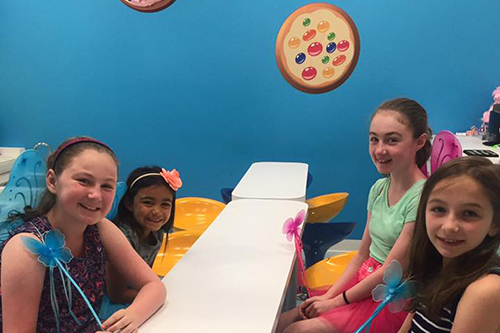 The Boys and Girls Clubs of Milford has been successful from its opening as the professional youth development staff have filled a need in the community and connected with the youth it serves. Members benefit from trained, caring, professional staff and volunteers who help young people take control of their lives, envision productive futures, and reach their goals. Boys & Girls Club of Milford is a 501(c)3 (nonprofit) organization and donations are tax deductible. Our Tax ID Number is 27-0786009.